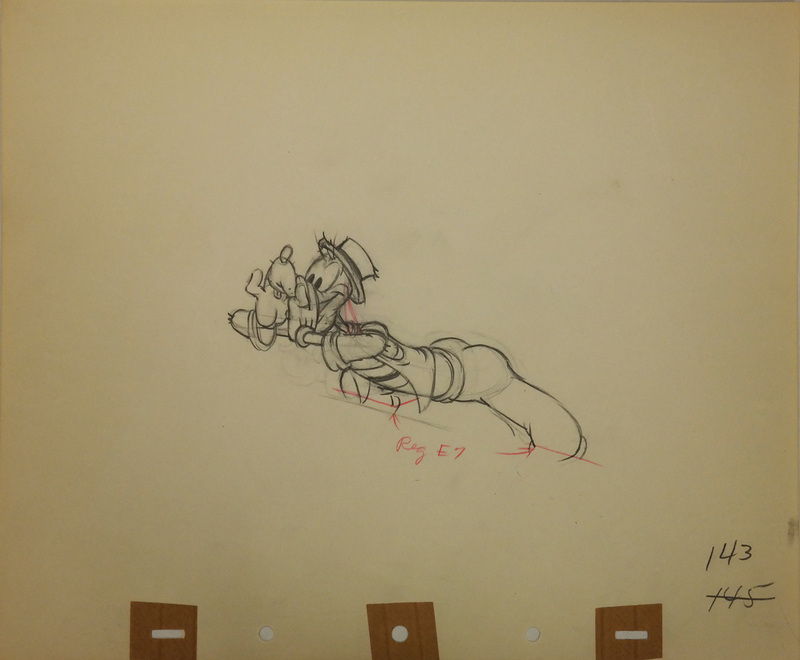 Original Drawing of Goofy from Goofy and Wilbur. This original drawing was done by Wooly Reitherman. The untrimmed animation paper measures 10" x 12" and the image measures 3" x 5.5".